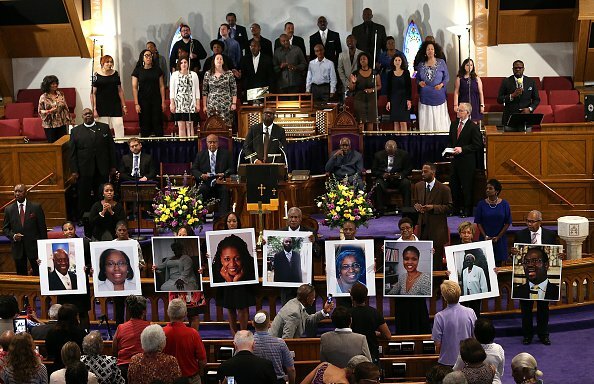 June 17 marks the one year anniversary when nine members of Mother Emmanuel AME Church in Charleston, South Carolina were murdered during a prayer meeting. Dylan Roof was arrested for the shooting. He remains in police custody and could face the death penalty. Trial was originally set to start in July 2016 but was delayed until January 2017 to allow additional time for psychiatric evaluation of Dylan Roof. The one year anniversary was recognized in Charleston honoring the life and legacy of the shooting victims. The one year anniversary reminds us that racism is alive and well in America. Today we are sharing 7 little known facts about the life of the incomparable Muhammad Ali who died on June 3, 2016 at the age of 74. Ali inspired Sylvester Stallone to make “Rocky”. Ali fought a little known boxer, Chuck Wepner. Ali did beat Wepner, but it took him the full 15 rounds. Wepner was recognized for his grit in going the distance with the champ. Rocky’s opponent, “Apollo Creed” was inspired by Ali. He never turned down an autograph request. As a young boy he was denied an autograph by Sugar Ray Robinson. He vowed that should he become famous he would never deny his fans. He even had a special P.O. Box for anyone wanting an autograph. He used to race the school bus. Instead of “riding” the bus, he “raced” the bus to school as a child in Louisville, KY. He threw away his gold medal. Ali won a gold medal at the 1960 Olympics. He wore the medal frequently. When he was refused service at a restaurant because of his race, he then threw his Gold medal into the Ohio River stating that he would not wear in a country where he would be denied service. A stolen bicycle launched is boxing career. When he was 12, his new bike was stolen. When he went to the police station to report the bike stolen, he met an officer there who introduced him to boxing. He also vowed that he was going “whip” whoever stole his bike. However the bike was never found. He recorded an album. In 1963, he made of recording of Ben E. King’s, “Stand By Me”. It was released in 1964 by Columbia Records. The recording was part of Ali’s, “I Am The Greatest” spoken-word album.